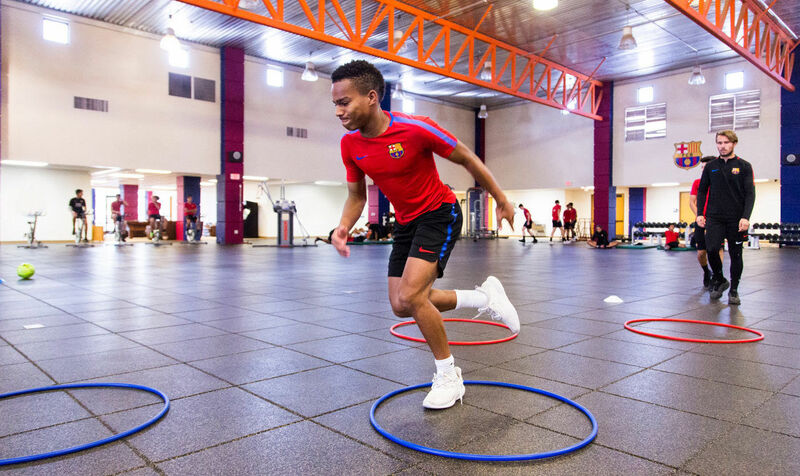 Grande Sports World offers an immersive holistic student-athlete development program from Barça Residency Academy, FC Barcelona, Arizona State University Preparatory Academy, and The Francisco Grande Hotel & Golf Resort. 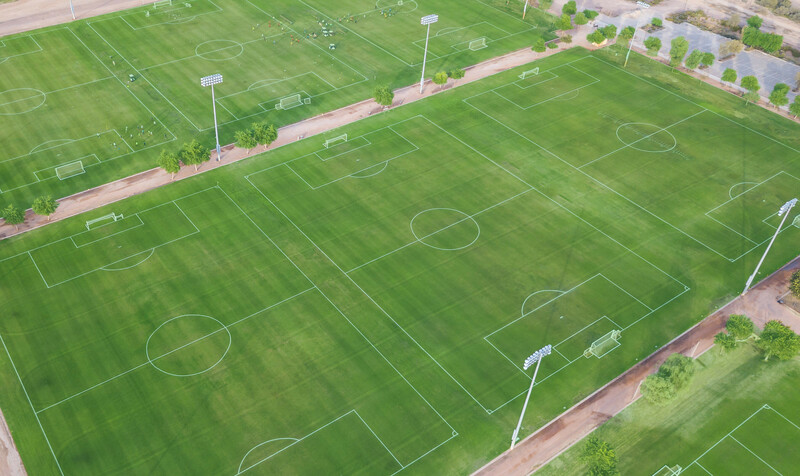 The convenient location and proximity of facilities, amenities, and fields offer exceptional educational and physical development, unlike any other training facility in the United States. Eight professional grade fields are continually maintained to international and professional standards with 16 portable European style full-size goals, 16 mini goals, 4 x 6 technical area, mannequins, coaching sticks and cones. Our 58,000 square foot state-of-the-art Performance Center includes professional caliber locker rooms, hot and cold plunge therapy pools, soccer tennis, a player’s lounge with TV’s, ping pong, pool, and video games, and a rehabilitation center. 9-story, 64-room resort hotel adjacent to the training complex: balconies that overlook the golf course and the fields, two restaurants, a bar, a swimming pool and a fire pit, a 7,594 yard,18-hole championship golf course, two driving ranges, and more. Grande Sports World Facilities includes an 18 hole championship golf course, with two driving ranges, over 1,500 trees and three beautiful lakes. For over 50 years, the unique golf course and resort has played host to celebrities, sports stars, and accommodating visitors from around the globe. 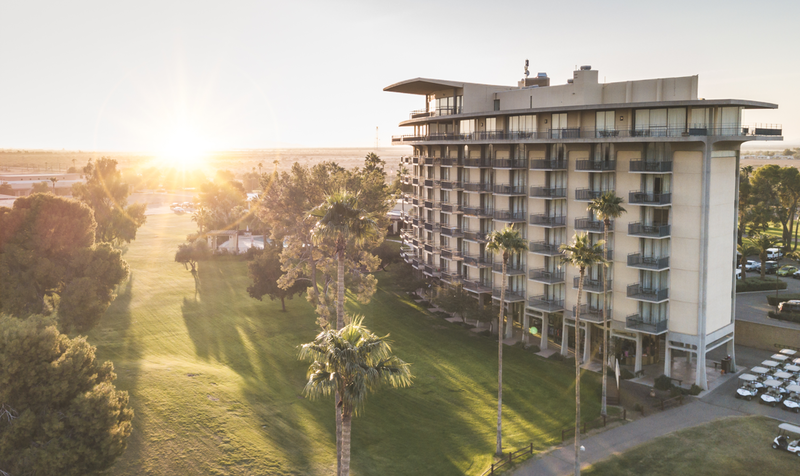 With 7,594 yards of greenery, the golf course is a gem in Arizona as an ideal place for golf vacation getaways and retreats. Golf Course is closed June – September and will re-open from reseeding in October. The Francisco Grande Hotel & Golf Resort nine-story tower offers its guests luxury accommodations with superb food and outstanding golf in a scenic landscape. Every guest room in the tower is oversized and has a large, inviting balcony with expansive views of the golf course and the mountains in the distance. The resort’s iconic design is complemented by their swimming pool and firepit amenities that further enhance the location. The resort’s restaurants and watering holes provide a variety of casual and upscale dining and entertainment options.